Sometimes, we need different loans for different occurrences in our life, such as a college education or a new home. So the reality of life in America is that juggling multiple loans at once is an unfortunate reality for many Americans. For those of you whose debts have metastasized like an alien in a science fiction movie, here is the skinny on how to get your obligations back under control. There are basically two schools of thought when it comes to the strategy of paying off your debts: the snowball method and the high interest method. Both methods are similar but they have some important differences that need to be addressed if you are using either to pay off your debt. The snowball method has been popularized by personal finance guru Dave Ramsey. The main idea is that that you arrange all your debts from largest to smallest and progressively attack each debt in turn. Once the smallest debt is paid off, you use the cash you would have spent on that debt to pay off the next highest debt, then the third, then the forth – etc. Pretty much the main idea is that your debt payoff progress starts to “snowball” – literally like a snowball rolling down a hill, your progress gets faster and faster. With the debt snowball, list the debts in order of how much you owe (as above). Start by making the minimum payments on everything but the smallest debt. In this case, that’s the $400 medical bill. Assume you can come up with some additional side income. Possibly $400 a month – which you can get from any number of side jobs. Since you are paying $450 a month on the medical bill (the $50 payment plus the $400 principle), that medical bill will last a month or so. Next, take that $450 and attack the credit card debt. You’ll be paying $562 on the credit card debt (the $450 plus the $112 minimum payment). In about five months, this debt should also be paid off. Tackling the rest of the debts is simple, just add the amount from the medical bill and the credit card ($450 + $112) to the amount you are paying on the car loan ($100) this should be about $662 per month. This means it will take about six months to pay off the car loan. Once the car loan is paid off you’ll have about $796 to allocate to the student loan debt, which will be gone in about 12 and a half months. So, with a little bit of the work and some sacrifice you will have paid off $17,400 dollars worth debt in just over 25 months. The main advantage of the debt snowball is that you get the psychological motivation by paying off the smaller debts first. The idea here is that debt reduction is a long term process and if you tackle the biggest debts first, you won’t stay motivated and won’t make progress. The credit cards and car loans are ranked first, as they are the highest interest debts. To reduce your debts, pay the minimum on all your obligations except the highest interest debt. For that one, you need to put ALL your available cash to it. This means your emergency fund money, your rainy day cash – all your free cash, everything. It all needs to go towards the highest interest debt. Your savings will never earn more than a high interest credit card or unsecured personal loan. Do this every month. Once a debt account has been eliminated, remove it from the list and re-order until you are back in the black. The high interest method has been shown mathematically to be the quickest way to reduce your debts. No other method will get you out of debt faster or save you as much money. The high interest method only works if you include all your debts. So, consider all your complete picture. 1. 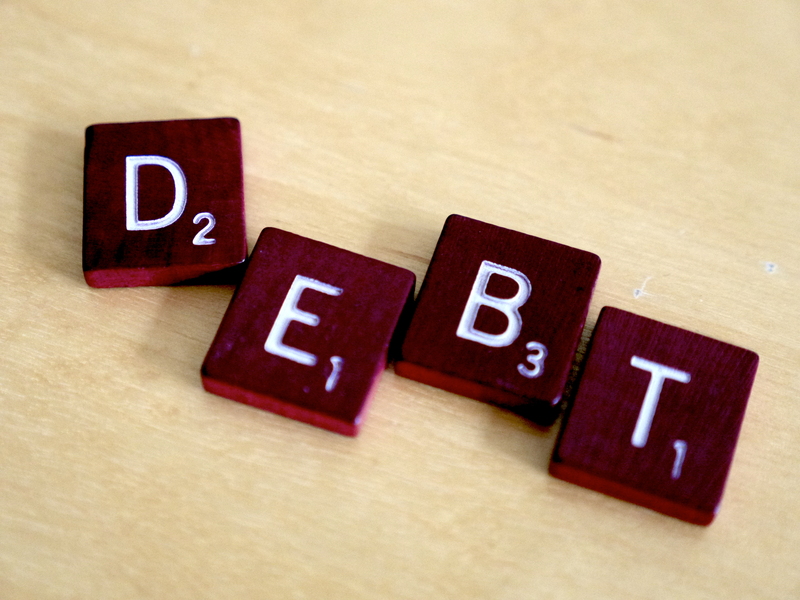 Manage your debts actively, so this means monitoring your debts to be sure your creditors don’t raise their rates. Credit card companies are notorious for arbitrarily raising rates. Some debts like medical bills can have late fees associated with them. 2. Factor in taxes. Mortgages and student loan debts are subsidized by the Federal government which means that their effective rates are lower than their nominal rates. 3. Actively manage when you pay your debts. In some cases if you pay your debt before it is due you can reduce your total interest paid. One major problem with the high interest method is that it tends to ignore behavioral finance. People often aren’t motivated to keep paying off their debt if they don’t see an immediate return on their efforts. This is the advantage of Dave Ramsay’s snowball method. Unfortunately not all debt is created equally, so what is the best approach to paying off your loans if you just have one or two separate debts? Slow and steady is not the route you want to take with credit cards. The faster you can pay off your credit card balance, the better. The interest rates on this type of borrowed money is usually the highest possible (with the exception of usurious products like payday loans), and missing payments can be really harmful to your credit. In addition, may credit cards simply tack the interest owed onto the balance of what you owe. Ways you can defeat this is by paying more than the minimum balance and work on paying off the credit cards ones with higher interest rates first. Avoid making only the minimum payments. If you only continue to pay off the minimum balance, you set yourself up to pay more in interest, which can add up to more than what you initially borrowed. Also, avoid using credit cards to pay off other debts if you’re already have several other looming financial obligations, particularly with higher interest rates. Credit card companies are getting wise to balance transfer schemes and are less likely to give you points these days for these sorts of transactions. A car loan can be paid similarly to a mortgage, but with shorter repayment terms, paying off this loan faster makes sense. Making bi-monthly payments will cause you to obviously pay more toward your car loan each year, even if you only commit an extra $50 per month. So consider these types of accelerated payment schemes. By paying off the car loan faster, you do reduce your interest as well. 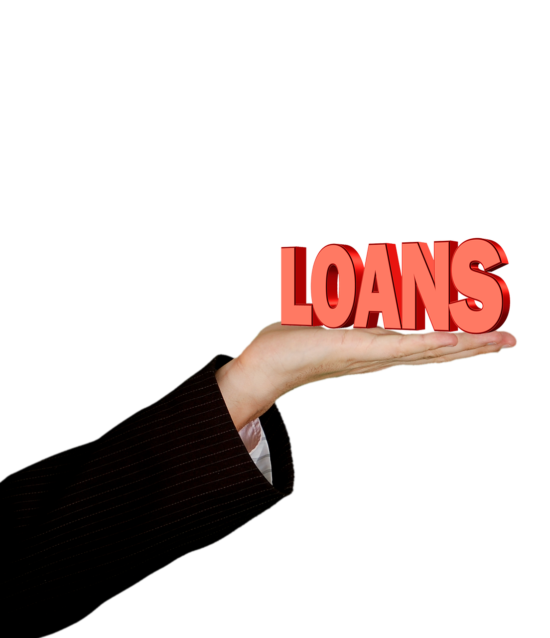 Be sure to talk to your lender first, as sometimes it is frowned upon to pay off this type of loan early. In general car loans aren’t tax deductable and they are secured against depreciating assets so you don’t have much to show for this kind of debt at the end of the day. The average time it takes to pay off student debt for a bachelor’s degree is roughly 21 years, according to research, and even longer for a master’s degree. But, in addition to paying your monthly minimum amount due, paying extra toward your loan each month will help to reduce the overall balance. Dedicate a specific amount to regularly pay on top of your minimum to maintain consistency. Anywhere from $50 to $100 is great, but if you can do more, you should. Talk to the company handling your loan to see how extra payments should be made. In some cases, paying it at the same time of your minimum requirement causes it to only go toward interest instead of your overall balance. A big mistake you’ll want to avoid when repaying student loans, though, is to be cautious of consolidating federal loans through private lenders. In fact, before you consolidate at all, be sure to really look at the numbers. If you have really high interest rates with specific types of student loans, it may be a good route to take; however, consolidating is not necessarily a guarantee of better rates or loan terms. Look at all the details before jumping the gun. How you work toward paying off your mortgage depends on whether or not you want to repay it faster than the typical 30-year period. You effectively have two choices, you can either carry the mortgage for the life of the note or you can pay it off early. Carrying the mortgage in the allotted agreed time has its own benefits, such as tax deductions and expense predictability. Also, a key factor in thinking about paying off your mortgage early is whether you have a better use for the money. For example you could use the money would you would otherwise put towards the mortgage for investments like retirement or college savings for your kids. Paying extra should only be done if you can feasibly do it financially. If money seems like it will be tight after paying extra, don’t do it or find a way to make it work like through a supplement income. This is because mortgage interest is tax deductible, which means its generally “cheaper” money than credit card debt. Mortgages are like any form of debt. One of the main keys to remember with paying off loans is ensuring you’re making your payments on time. Not doing so can result in penalties and dragging out the repayments longer. Remember to research the loans, repayment methods, and be wary of quick repayment schemes, as some of these have substantial risk. Check out the mortgage professor for more on this. This case is certainly unfortunate but it’s not unique. What most people don’t understand is that when you cosign a loan, you are accepting full responsibility for repaying that debt in the event that the primary borrower defaults on the loan. The cosigner is liable for the debt regardless of the reason that the original borrower defaults. It does not matter if it’s because the person skips out on the debt, gets sick, becomes unemployed, or even dies. The banks make no distinction. The cosigner must repay the debt. Period. Even when people read this in the loan documents, some part of their mind still thinks there will be some “out clause” and they won’t really get stuck with the debt. They seem to believe that there is no way that a bank will stick them with the debt if the original borrower defaults. The thing is, banks are not compassionate. They are in business to make money. They don’t care why the original borrower can’t pay, they just want their money. That may seem harsh, but it is what you agree to when you cosign. Imagine if banks made exceptions. Everyone would have some hard luck story about why the original borrower could no longer pay and why they, as cosigner, shouldn’t get stuck with the debt. That would put the banks in the position of determining whose hardship is the worst and wading through documents to prove claims of death, disability, and unemployment. It would become a mess. The end result would be higher borrowing costs for all customers and probably a refusal to accept cosigners at all. That would mean that people who need credit and are responsible wouldn’t be able to get it. As cold as it seems, the policy of not making exceptions is the best for the greater good. 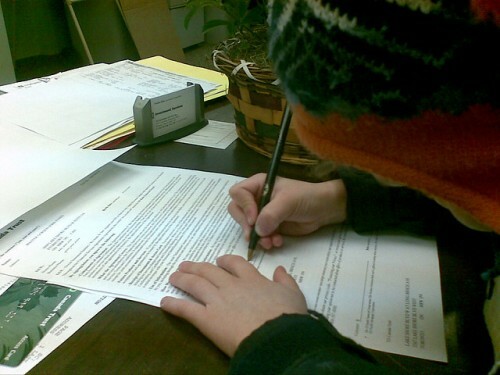 Yes, it’s tempting to cosign a loan to help out a struggling kid or other friend/relative. If they don’t have the credit worthiness to get the loan on their own, it’s natural to want to use your own credit history to help them out. But think carefully before you agree to cosign. Do you have the means to pay back that loan if the borrower defaults? If the answer is no, then do not cosign no matter how much you want to help or how much the other person begs. You will get stuck with the debt if the original borrower defaults for any reason. There will be no mercy or compassion from the bank. You will be on the hook for that debt and if you can’t pay, your good credit history will go down the drain. If you still want to cosign but you don’t have the ready cash to pay back the loan, at least make sure there is some type of insurance in place to make sure it’s paid back. That may mean life insurance or some type of loan protection policy. Yes, it’s expensive, but it’s generally not nearly as expensive and ruinous as getting stuck with a debt you cannot pay. Had the kid in the news story had a life insurance policy, his mother would not be in her current position. Believe it when the bank tells you that you are responsible for paying back any loan you cosign. They aren’t kidding and there is no mercy for death or any other reason. Think long and hard about your ability and willingness to pay before you put your name on that loan. Otherwise you could find yourself paying back thousands of dollars that you can’t afford.